Dealing with the Source SDK again, I imagine this is a bit like Chell felt at the start of Portal 2: You realize a whole bunch of time passed, and all the nice humming machinery you remember is in disrepair while a few new weird mechanics exist. This also marks an attempt to overcome a sort of writer's block that uses the excuse of "it's not good enough to share yet", which usually ends up with all of my creative-energy going into pun-filled Reddit comments. We'll see. 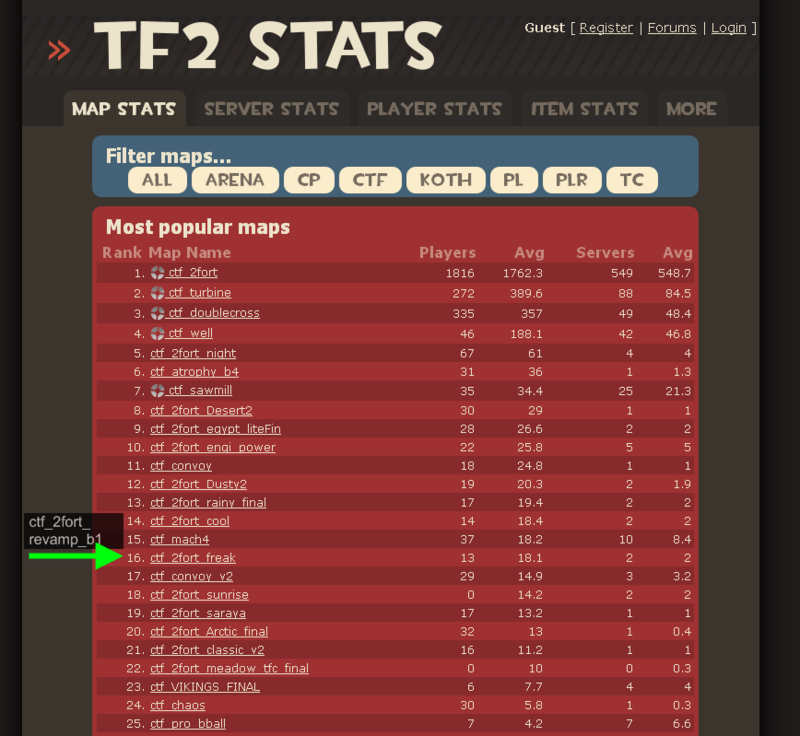 2fort_revamp is more popular than I thought… when you count the renamed ripoff. Someone accused me of making minor changes to a map called ctf_2fort_freak today. OK, it was a while ago, but I only noticed I had youtube messages to moderate today. 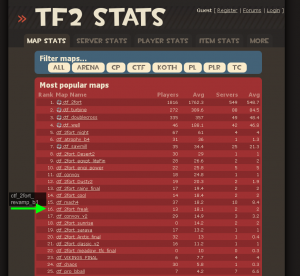 Turns out the folks at The Gamers Playground have two "2fort Freak" servers. The only problem? It's a direct copy of ctf_2fort_revamp_b1, which I released on FPSBanana back in July 2009. It's even got the spots where you can fly around and see my name. I should emphasize that it's entirely possible the folks running the server don't know it, and that instead some unscrupulous player presented a renamed file to them. So I'm feeling a bit conflicted. Somewhat pissed, and somewhat happy that people like the ideas behind ctf_2fort_revamp more than the statistics would suggest. The Beta-3 release of ctf_2fort_revamp is out. For anyone asking: "WTF is that?" it's an "improved" version of CTF_2fort designed to be less stalemate-prone... To make it a bit more fun to capture the flag than to simply defend it. You can download it from FpsBanana GameBanana. Edit: If that doesn't work, grab the local copy. One of the big features of 2Fort Revamp is to change how people treat the central water pool, so I thought I'd detail some of my design decisions (and past attempts) to alter it. Normally, it's a route to be avoided because it's inconvenient. If you fall in, you often must go through a long extremely-predictable path into the enemy base. A path that's much further than just crossing the bridge. Not only that, but if the enemy puts up stiff resistance, your only choice is to backtrack through an equally-long path through your own base to end up where you started. It's handy to avoid the snipers, but in many ways it is too inconvenient. A while back I decided that I wanted to learn how to make new maps in Source engine, specifically for TF2. Since it was my first exposure to map-making I decided to pick a learning-project where I could work incrementally. One of the stock maps for TF2, ctf_2fort is both loved and hated, although both sides will often agree it has something to do with how prone it is to non-tense stalemates.